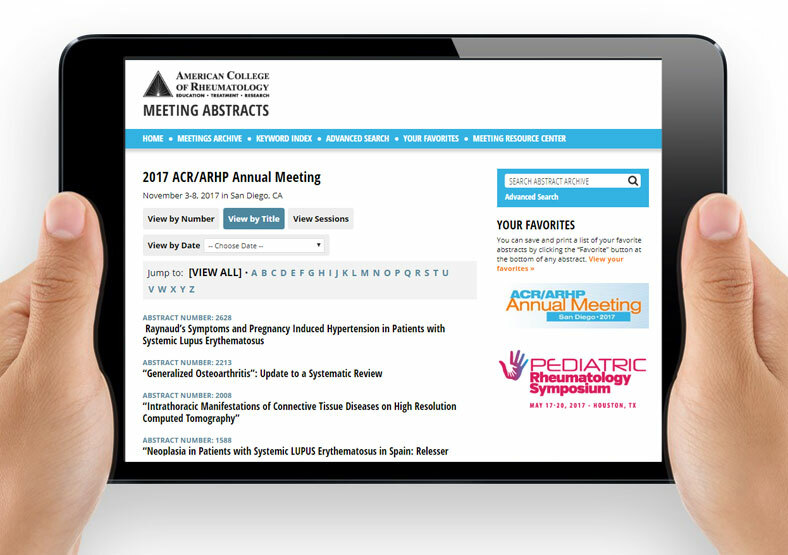 The American College of Rheumatology (ACR) required a straightforward and simple website for abstract issues of their publication. 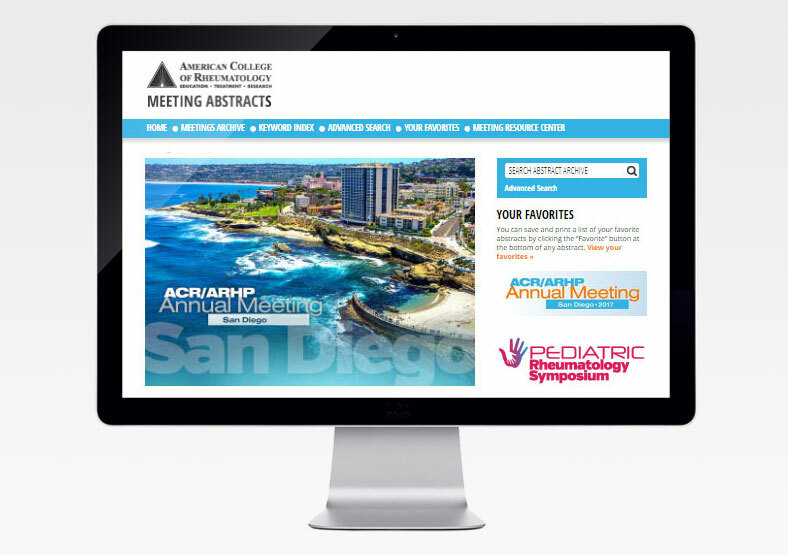 The website needed to be a searchable repository for all annual meeting abstracts as far back as 2012. 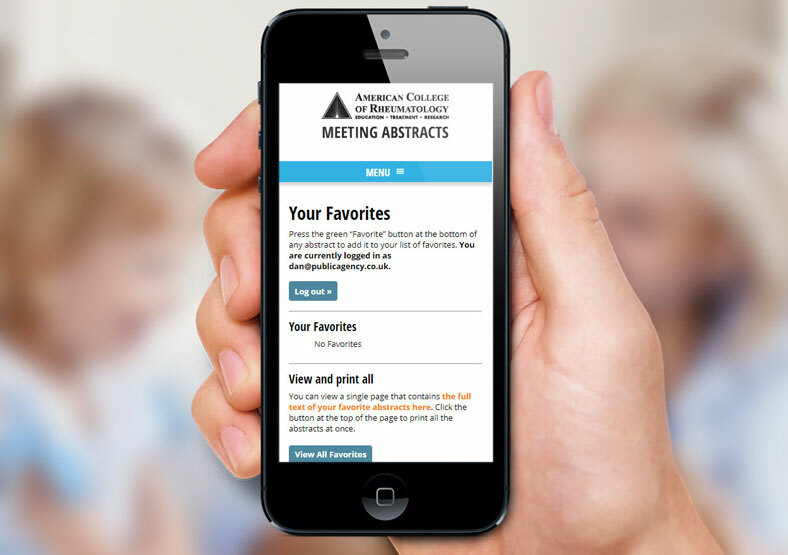 We designed the website in line with ACR's brand guidelines, and gave it a simple structure which is easy to navigate. The site is responsive, meaning it can be easily viewed on a number of different devices. Once the website was built, we created and managed an automated process for uploading over 8,000 historical articles, saving the administrators countless hours in uploading the articles manually.